Somewhere in America, as you read this, a manager is discovering a meth lab on their property. Wrong, yes, but not the weirdest. A manager in California sent an inspector to a resident for routine maintenance. Finding a nest of 50 rattlesnakes, he beat feet out of there. The tenant let the manager know their family makes rattlesnake sausage. 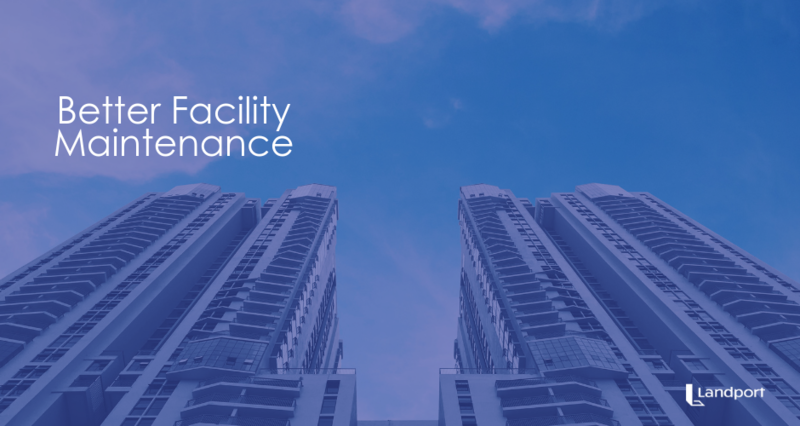 The challenges of facility management vary as wide as the diversity of tenants. When there is a definitive way to solve a problem, most are all ears. Experts tell us today’s labor crunch will affect properties in trying to keep good workers. More rental communities are joining Airbnb. So, competition for long-term leases is high. Adopting facility management software is more important than ever. Today’s facility manager can rid their day of tedious details and save big with a little help. Here are three challenges you can overcome with management software. There are two proven ways to improve income… Increasing tenants and lowering costs, and although occupancy rates can change with economics; costs are controllable. At the heart of maintenance, lies communication, therefore routine task information should be available to all staff… this makes the process more proficient. Engineering personnel and vendors share your knowledge, so put responsibility where it should be. A platform open to every person in the chain allows vendors to bid and staff members empowered to schedule tasks and delegate. Delegation frees up your time and ensures the best price for the necessary work. Management software tracks maintenance and warranty work by cost, vendor, and date. The budget visualization allows you to stay on top of where savings may be. Up to the minute cost savings allow you to pare down your list of vendors and services. This makes projecting future costs easy work. So, you take care of tenants more easily while better managing maintenance budgets. A well-oiled machine will attract more and better tenant clientele. Retaining customers is challenging enough. And, of course, there are the problem tenants who are time vampires. With as much as you have to do each day, you can overlook easy opportunities. Of course, we know tenants expect immediate attention to maintenance issues. In fact, you can probably recite common tenant complaints by heart. There is a saying that says “People may not remember what you say, but they will always remember how you make them feel.” This statement is at the heart of stellar customer service. For you, it means more renewals and less time with empty properties. Your tenant expects excellent communication, timely help, and respect for their privacy. The software can alert tenants on entering their property before the 1-day time frame. When they need maintenance, the management system prompts your call. From there, an immediate schedule for help can occur. And, you can do all this from your phone or laptop. There are few other jobs like that of a property manager. We know it’s a 24-hour gig which can end in the middle of the night. Emergency maintenance or accidental lock-outs are common. Wearing many hats is just the beginning. Budgets, meetings, and immediate priorities can interrupt at any time. Then, important work pushes down on your growing list. When the day is over, it can feel like you haven’t made a dent in your original list of work order tasks. Having a management software solution can help you better prioritize or delegate work order ques and take much of the small stuff off your plate. Scheduling, answers to tenants, and checklists keep you from missing the big stuff, too. With a team and vendors working from the same page, you’ll enjoy the freedom of your schedule instead of everyone else’s. For administrative work like budgets and payments, everything is at your fingertips. Most important, your tenants can find you when they need you most. A software program is not going to keep Mother Nature from causing property damage. Common plumbing, heating, or AC issues happen at random, too. But, you can be ready with your team and vendors if and when the time comes. No one can control when a tenant asks for a service within a few hours of their first call. Your response time, for them, shows your loyalty. Crucial service is something tenants remember at renewal time. Emergency calls, like water damage, are time sensitive to mitigate further damage to your property investment, too. Maintenance management software should allow you to answer, schedule, and alert your customers during any work order situation;whether it’s routine maintenance or an emergency situation. A good team is essential, and this is another challenge for many property managers, so your software program should automate standard processes or procedures with staff. This empowers everyone involved to perform at their best, too. With routine tasks automated and managed, you will have more time for services like marketing to tenants. Prioritizing tasks is so much a part of your job, you may not think about it, but this part of your workday can be deceiving. Without a flexible facility management software, it is easy to miss important work. Tracking within the software can tell you the frequency of maintenance work order requests by specific tenants, and what type of work order requests are made more routinely. You will also know when payments go through. And, you can see if a vendor is on the schedule for important repairs. If an emergency occurs, you can monitor your 24-hour services at a glance. A proper look at your day leaves you open for pesky events; those that seem to always happen when you’re busy doing something else. Landport’s work order management software was designed with facility managers in mind. Let us help you reduce your maintenance order stressors in the new year. Our team is here to help all your days go well. Many managers like you first take a free tour of our software program. But, we can go a step further, too. Contact us with questions or suggestions. We’d love to hear from you.